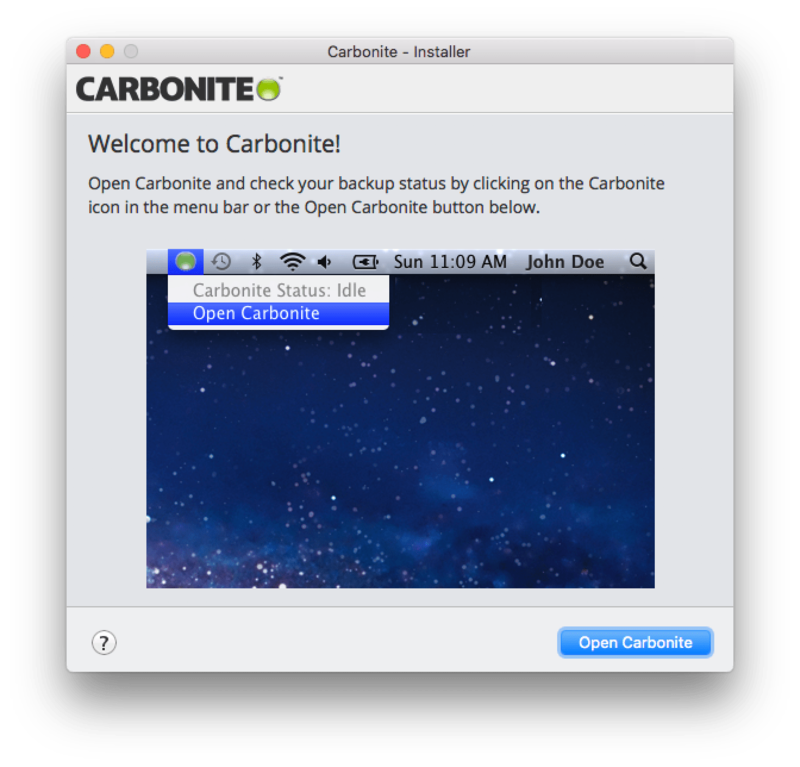 Carbonite is a great tool for backing up Macs and Windows devices. 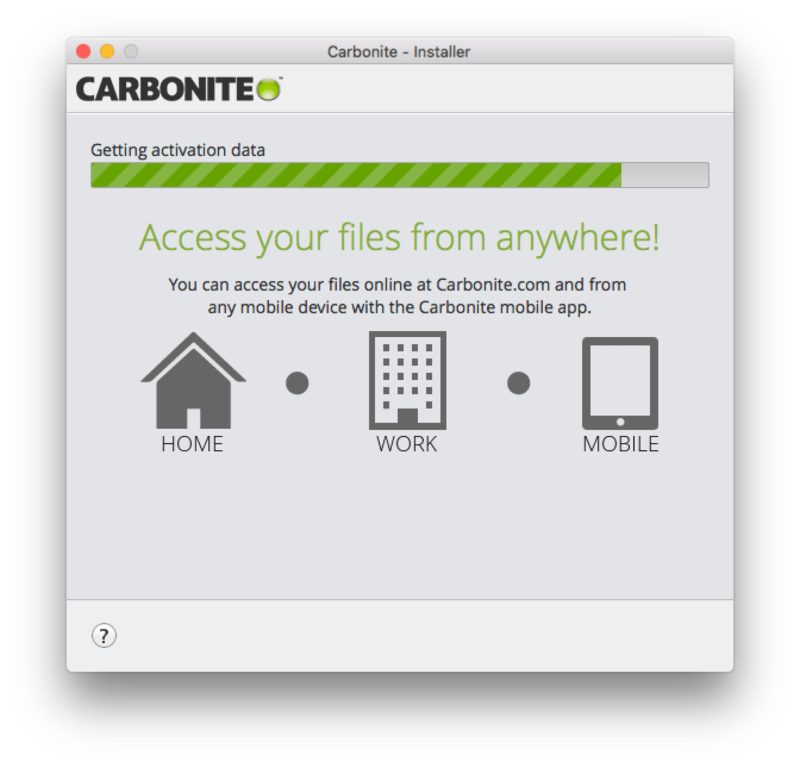 To install Carbonite, download it from www.carbonite.com. Once downloaded, copy the app to the /Applications directory and open the app. 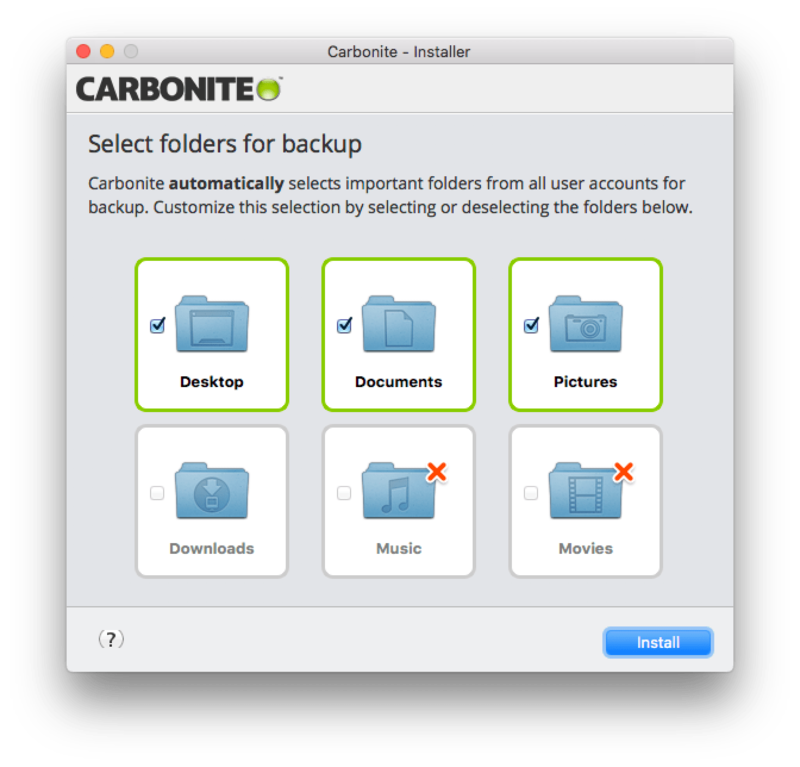 The Carbonite app will then install the components required to support the backup operations and index the drive. Next, you’ll see some basic folders that will be backed up. 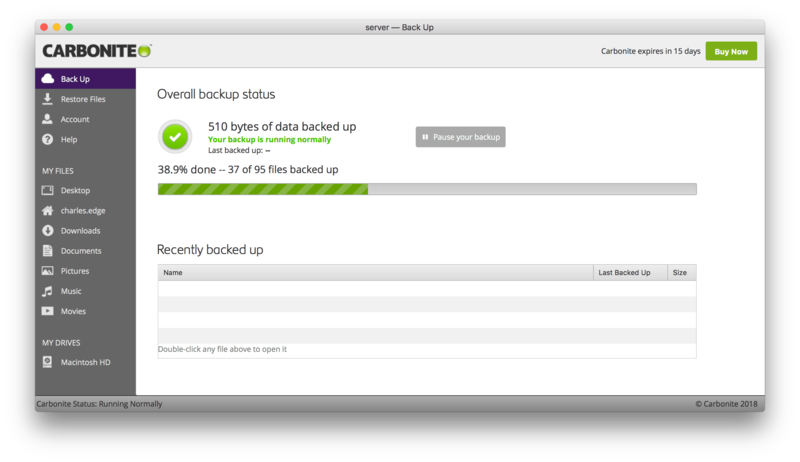 Check the box for those you want to add to the backup (or do this later) and click the Install button. Notice that the backup has begun! The only really customer-installable action is to select the directories to be backed up, which is done using the left-hand sidebar. And that’s it. There aren’t a lot of other options in the GUI. You can access more options at /Library/Preferences/com.carbonite.carbonite.plist. 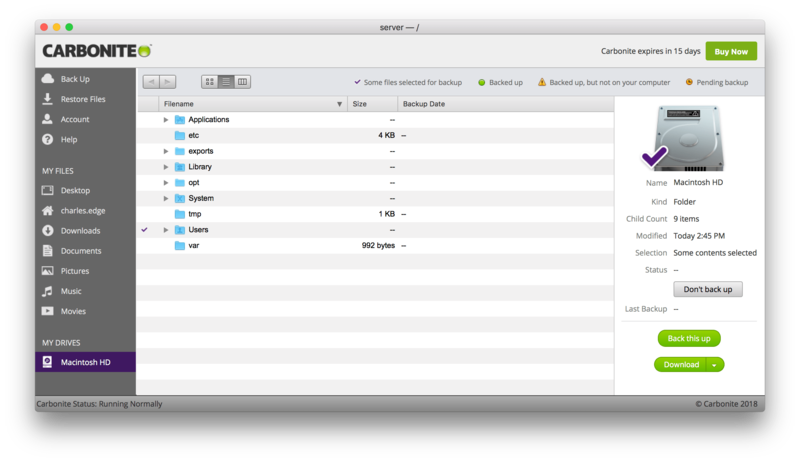 With Time Machine, you’d use `tmutil latestbackup` – although you might have to do a little regex to get it all pretty (e.g. something you might use in an extension attribute).